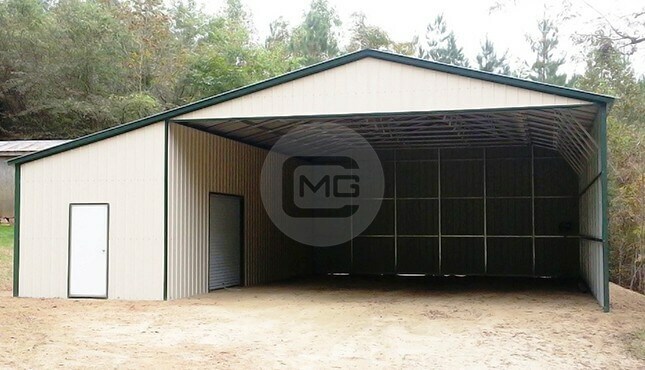 Featuring 24×60 feet building with 40’ enclosed and 20’ open area. 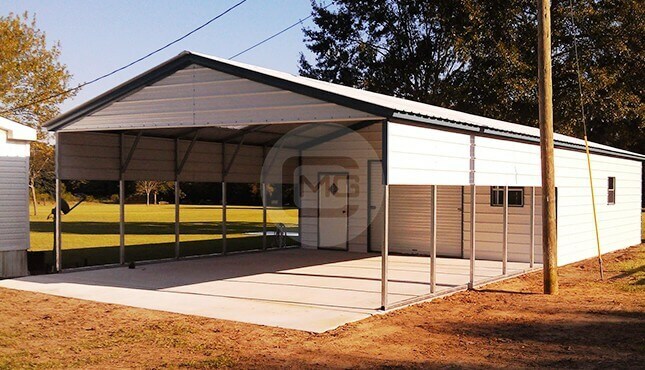 This utility workshop building has more than 900 square feet clear span storage space with 480 sq. Ft porch area for parking. 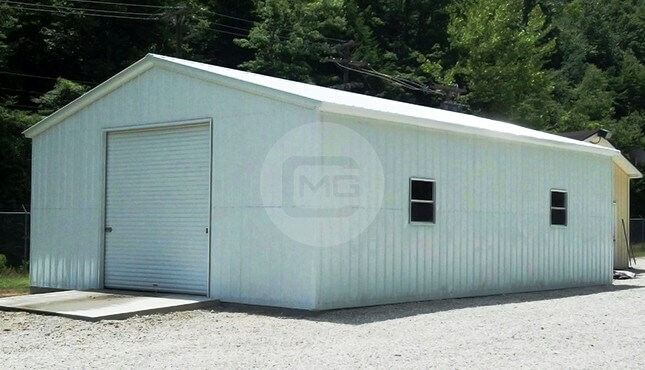 Pictured 24’ wide, 60’ long and 10’ tall utility workshop building with porch is All Vertical Style that says all the enclosed walls and roof panels are placed vertically. 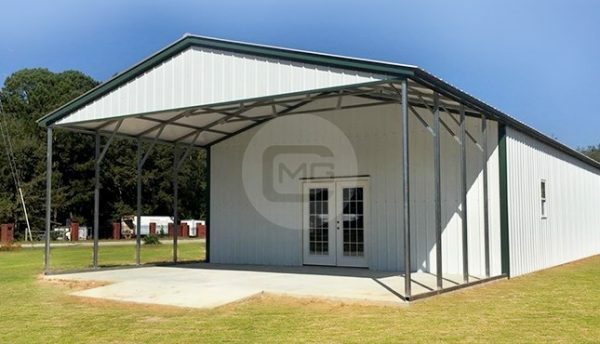 Vertical roof style is the most recommended roof option for commercial workshop structures. 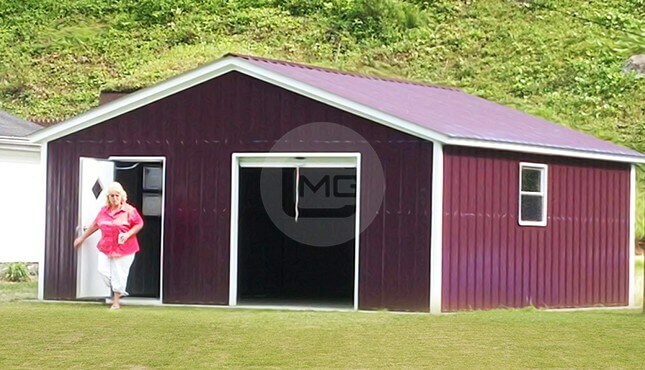 Panels run from top to down and let the snow slide off easily which prevents the building from rotting and rusting. 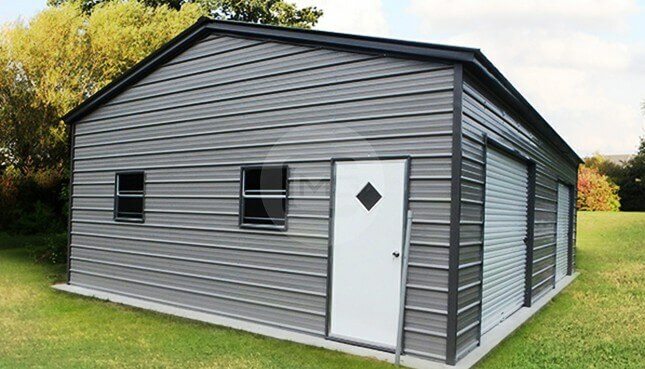 It also has ridge cap and purlins attached in the roof to give additional support to the roof. 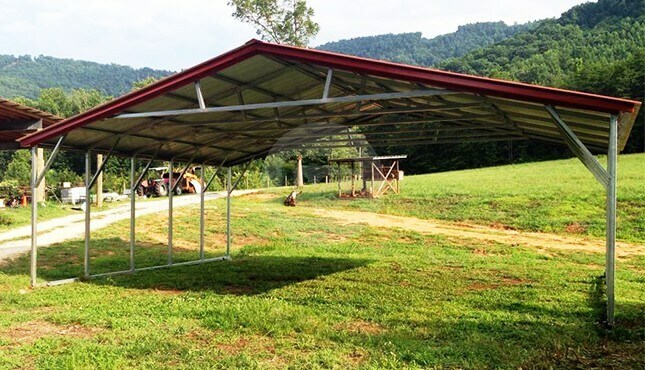 Actual size of the structure is 24x61x10’ (24’ width, 61’ length with a foot overhang of the roof and 10’ height). 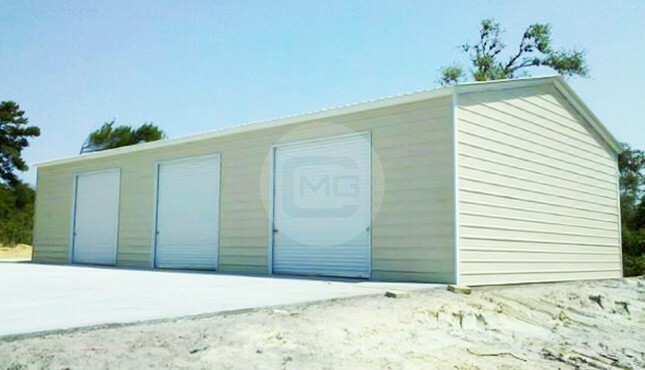 There are two roll-up garage doors of 10×8’, two walk-in door frame-outs (doors added by customer) and three 30×30” windows. 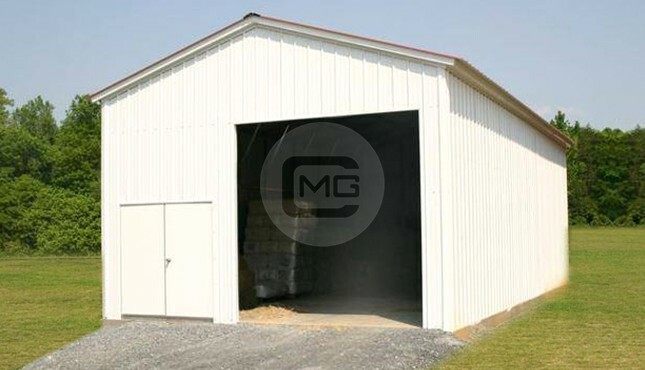 This workshop building is also certified for 140mph wind speed and 30psf snow load. 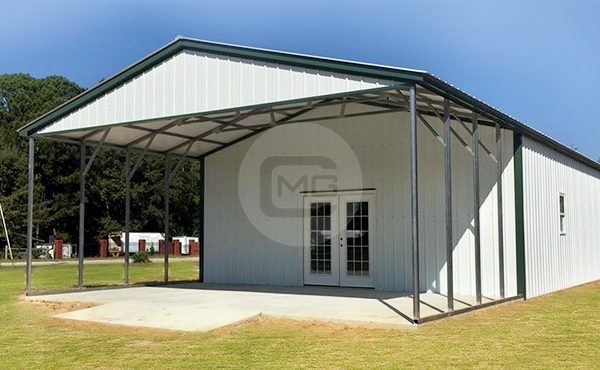 This 24×60 feet workshop structure has single bubble roof insulation to prevent the building from condensation.